3844 Valley Head Rd, Mountain Brook, AL.| MLS# 823586 | Richard Jacks UABLIVING.com 205-910-2297 | Birmingham AL Real Estate | Contact us to request more information about our Homes for Sale in the Birmingham AL area. 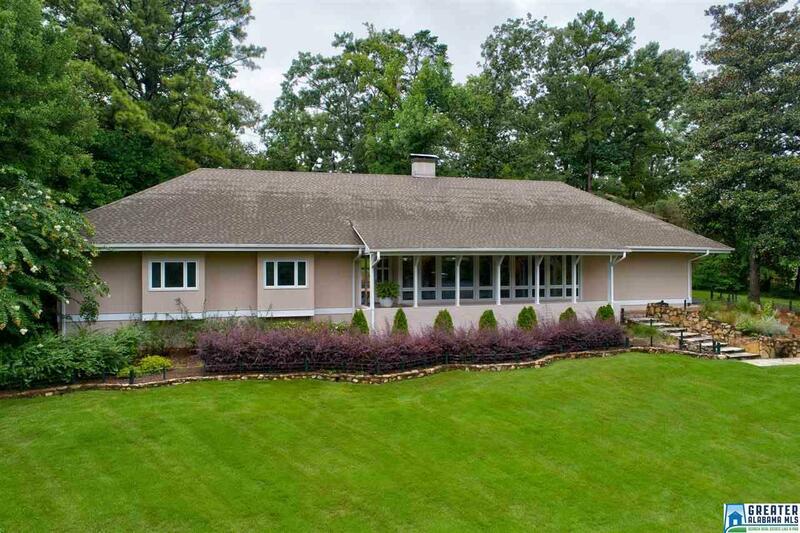 Welcome to this wonderful, and expansive, modern home in the heart of Brookwood Forest! Featuring 4 large bedrooms, and 3.5 bathrooms, your family will have plenty of space. The open floor plan has limitless possibilities and is waiting for you to make it your own. This home is mostly one level, and can accommodate large furniture without making you feel like the walls are closing in on you. True to it&apos;s era, and the local architect who designed it, this home boasts high vaulted ceilings made of wooden plank, and natural rock accents. The large windows allow plenty of bright light to pour in from outside, and offer views of the beautiful park-like yard. Situated on a large, well landscaped, lot with easy accessible to Mountain Brook High School, Brookwood Forest Elementary, I-459, The Summit and Highway 280. Driving Directions: Oakdale To Bethune To Right On Valley Head Road.